The Colombian forward has been a cult for the Chennaiyin fans. His heroic in the final against FC Goa is an astounding story in itself. Mendoza had a fruitful youth career but lost his way as he made his senior debut. So it was no surprise that when Chennaiyin FC came calling, he took the opportunity with both hands. Under the tutelage of world cup winner Marco Materazzi, he developed into a fearsome forward in his second season. Scoring 13 goals including a brilliant performance in the final to guide the club to glory was enough become a household name. He won the Golden Boot and the Hero of the year award. He was roped in to play for New York City where he played with some of the greats such as Andrea Pirlo, David Villa etc. The Corinthians forward owes a huge part of his success story to Indian Super League. It is understandable that Hughes’ name on this list raises few eyebrows. Hughes already represented some big clubs in Europe like Newcastle untied, Aston Villa, QPR, and Fulham etc. He was without a club when the Tendulkar co-owned franchise offered him a chance to be their marquee signing. The captain of Northern Ireland was excellent for the Blasters in their run to the final. It is not often that a European player is called up for international duty during an ISL season. Thought it is arguable that Hughes had the talent, it was his stint in the yellows that got the attention and kept him match ready for his country. His performances immediately earned him a contract with the Heart of Midlothian from Scottish Premiership and he will feature in the World Cup play off against Switzerland for his country subsequently. 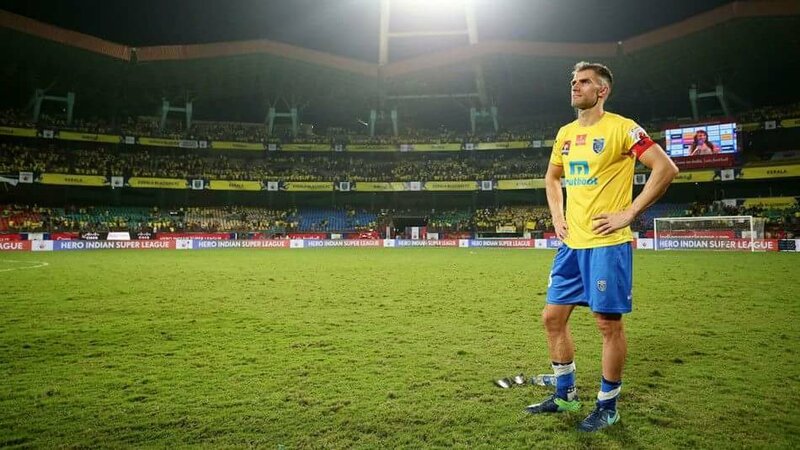 Winning the play off would mean everything for the veteran and his stint with Kerala has only helped him to go through that goal. The Spanish midfielder is a fan favourite in the city of joy. The two time ISL champion is a bag of tricks in the centre of the park. He played in the top division of Spanish league in the coveted Real Madrid whites. But his career took a downward spiral and he was plying his trade in Segunda division when club from Calcutta offered him a chance to be part of the ISL. He won two ISL titles and is one of the more accomplished players in ISL. His performances in ISL caught the eye of Eibar and he was snapped up. Not often a player from ISL gets to play against the likes of Messi and Ronaldo after their stint in India. He was instrumental for the survival of Eibar. He is a living example that a lot of keen eyes are on the Indian Super League to grab talents regardless of the age. Jeje “The sniper” Lalpekhlua is one of the first names on Stephen Constantine’s team sheet. The youngster who showed a lot of promise in his early days was slowly waning away in the horizon of I-league. The first season of ISL gave him the platform to resurrect his dormant career. He was the highest scoring Indian in the first season and his second season was even better as he guided Chennaiyin FC to their first ISL crown. He won the emerging player of the year award. His performance for the blue tigers rose to another level and he was awarded the AIFF player of the year 2016. It is all about being in the right place at the right time for the strikers on the field. 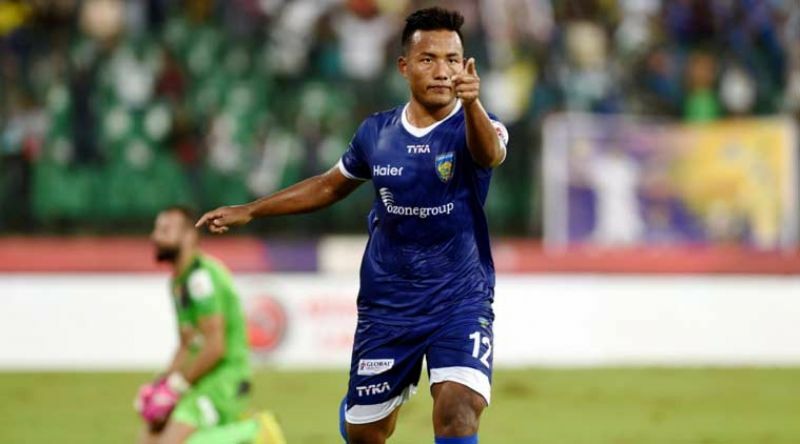 It is safe to say Jeje Lalpekhlua did find the right place at the right time for him off the field to make his grand entry into the Indian football. “The sniper” is here to stay and looks hungry for more in the upcoming season. 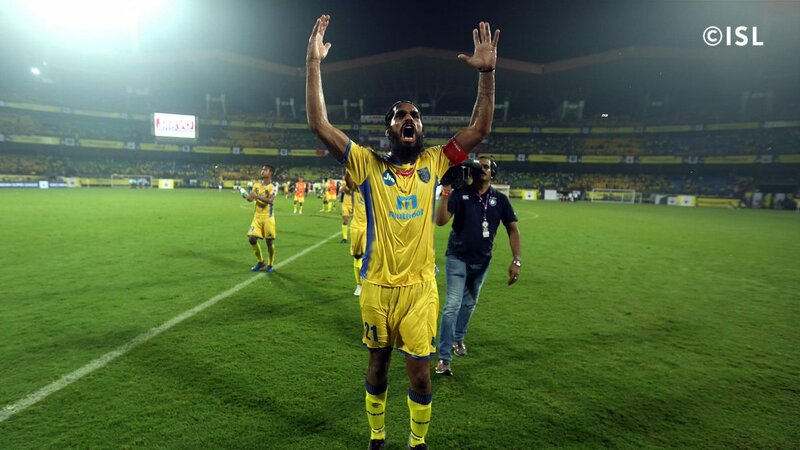 Sandesh Jhingan is a household name for Indian football fans. The bearded man with a big stature is the heart of the defence for Kerala Blasters and the Men in Blue. While his talent was never in doubt, it was his ability to produce consistent performance that needed to be proven. In a country like India, it is difficult for a 21 year old footballer to find opportunities to play in front of 60,000 fans. ISL came as a blessing for the towering centre back as he was signed by the Kerala Blasters in the inaugural ISL draft. He never turned back since then. The award for Emerging player of the Year was a feather to his cap as he dished out consistent performance in yellow which saw him securing his place in the National Team to eventually captaining, while Sunil Chhetri was not in. He played for a few I-League clubs on loan but since then has become the highest paid defender of India. Paid at 1.28 crores per year, he would be thanking IMG-Reliance for their ground breaking idea of ISL.